N 52° 23' 18.8" W 007° 49' 49.0"
Approaching the castle from the west. Reaching this castle is a bit tricky. We drove on an old country road off the N24, we left the car at the end of the unpaved track and walked east for 220 metres. It was one of the three strongholds of the Keating family. James Keating had it built in the 15th century. The castle and its land passed to Robert Cox in 1635 and later on to the Greene family. Richard Grubb purchased the property in 1855. Today the castle is still a private property. 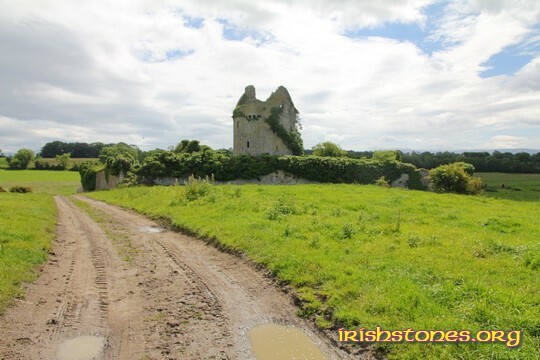 According to some sources the catholic priest, poet and renowned historian Geoffrey Keating had a connection with this castle, because he might have been the third son of James FitzEdmund Keating of Moorstown. Geoffrey Keating is buried at Tubbrid which is about 12 kilometres southwest from here. The castle consists of a round tower house inside a bawn protected by two flanking towers on the northeast (40°) corner and the southwest (220°) corner, and by a gatehouse on the east (85°) side of the bawn, though the effectiveness of this gate house may be arguable. 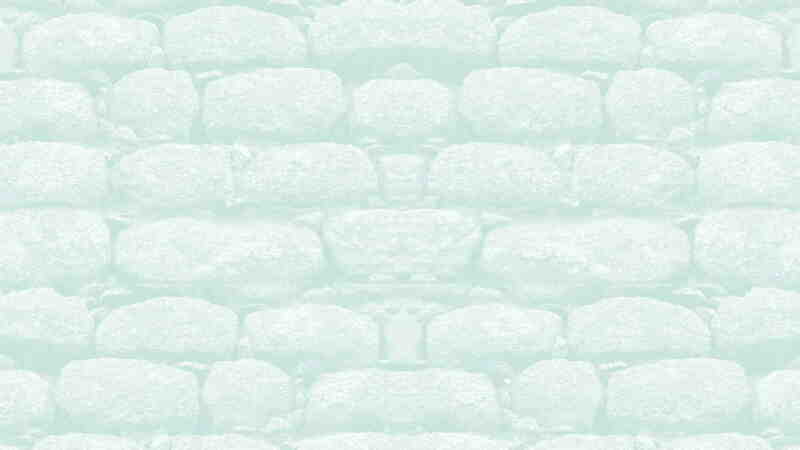 It had been built flush with the bawn and thus it cannot control the the sides of the entrance. In the north wall of the passage was the porter's lodge. The passage was closed by two iron doors secured by a square section beam that slid inside the wall when not in use. The round tower house stands to its full height at the west end of the inner yard. On the top there are two curved gables, one facing roughly west and the other roughly east with the latter being topped by a chimney. The ground and first floor have narrow slit windows. The north window on the first floor is ogee headed, the only 15th century feature in a 16th century building. The second and third floors have larger windows, with the northwest window on the second floor having a square shape. It seems that the third floor was used as a dovecot. The top of the tower house has three machicolations, but only one is clearly visible. The tower house is very overgrown with vegetation as is most of the bawn and the lower building to the south of the tower. This castle was one of the location for the movie "Barry Lyndon" (1975), by Stanley Kubrick (see movie from time 00:33:54 to 00:38:18). The landowner told us that the crew and actors occupied the fields to the west of the castle for at least three weeks only to shoot four minutes of movie.